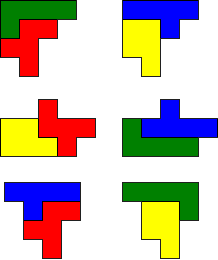 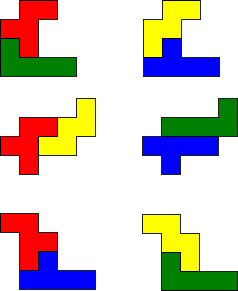 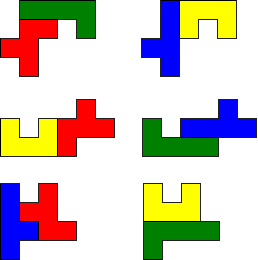 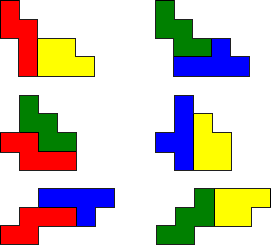 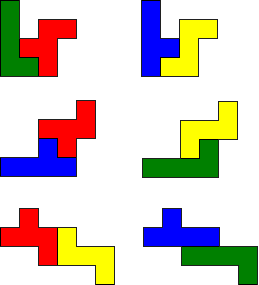 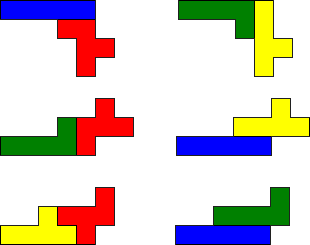 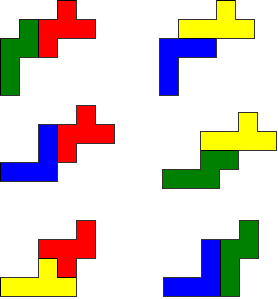 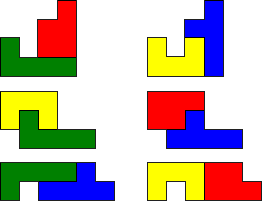 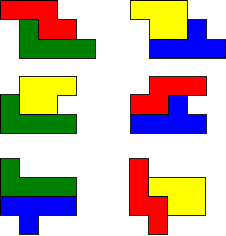 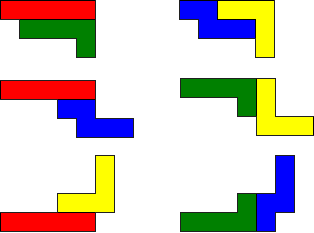 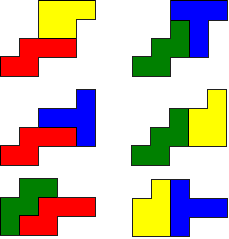 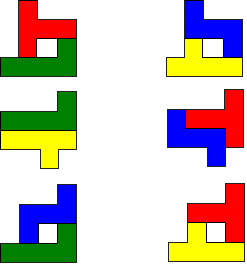 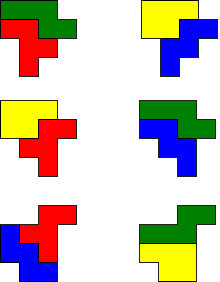 Helmut Postl from Austria mailed us this nice pentomino problem. 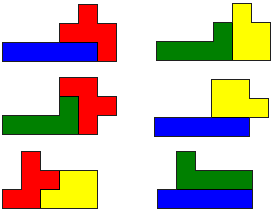 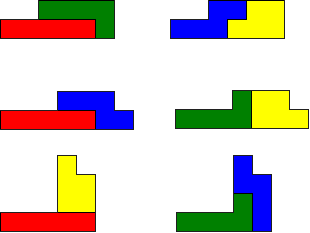 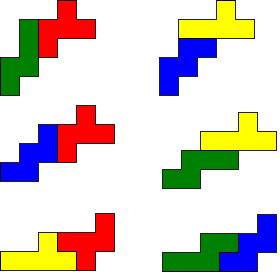 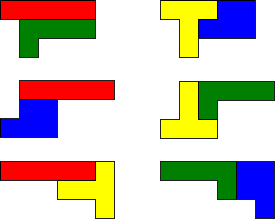 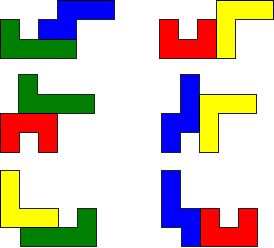 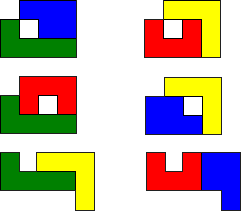 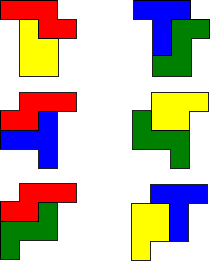 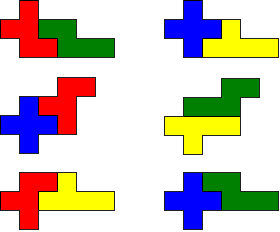 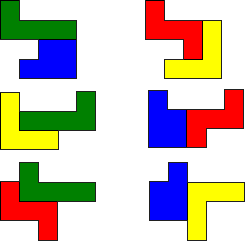 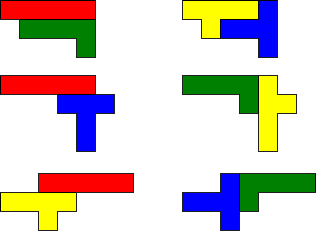 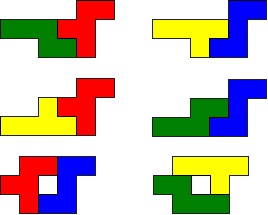 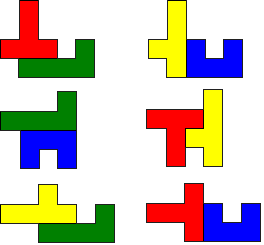 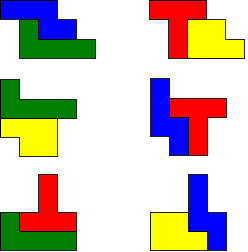 Look for 4 pentominoes A,B,C and D so that A+B and C+D make the same shape. 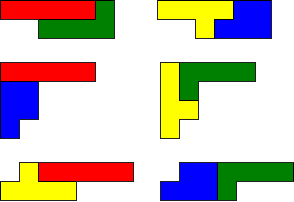 You also do that with A+C and B+D and then with A+D and B+C. 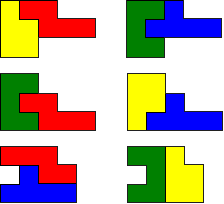 Let me know if you would like to see the solutions. 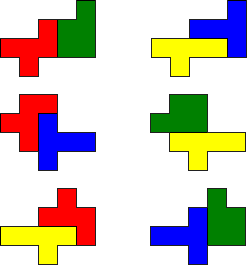 I think you are clever enough to find them on your own!" 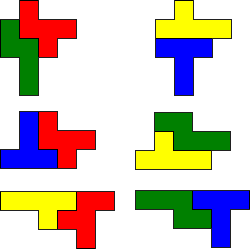 Do you have other groups of 4 pentominos?